Dad Blog UK - Page 348 of 355 - UK dad blog: Fatherhood, parenting, family and lifestyle. This was a gift given to many BritMums Live attendees. I didn’t give it a second thought at first because it looked like your usual book for babies with a few lights on it. On presenting it to our seventh month old, she immediately tried to eat it (nothing new their in fairness). Big sister, however, carefully prised it from her younger sibling’s fingers and began to read it with the little one. It was a joy to watch and baby really liked hitting the four buttons. 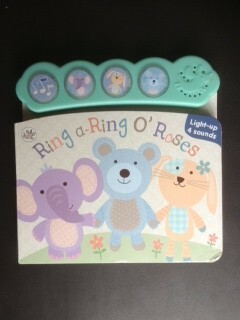 They flash different colours and make different sounds and this seemed to keep the baby enthralled. 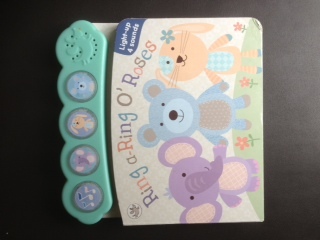 The book itself is a part of the newly-launched Parragon Little Learners range. The batteries can be changed with relative ease and it has a price tag of £5.99. There are quite a few books like this on the market, but I can’t deny this one was a success with my two. Despite my initial misgivings, this book and the others in the range are worth looking at.